Every vehicle should have a tune up every 3 years, or every 30,000 miles, but what exactly is a tuneup? Your vehicle is made up of different systems and components that need to work together. Sometimes, these systems can become out of sync with each other. When these systems become out of sync, it doesn't mean that your vehicle won't run, but it does mean that your vehicle is running inefficiently. Essentially, a tune up is an inspection and repair that helps your car run at its maximum potential. Sometimes, it may be obvious that you're vehicle is running poorly, but other times, the symptoms may be less obvious. If your vehicle is slowly losing power, you might not notice until you really need the acceleration to escape danger. If your vehicle is burning extra fuel, it could end up costing you a lot of money! If you suspect your vehicle has been losing power, or you've been taking more frequent trips to the gas station, or your vehicle just isn't running like it used to: bring it in for a tuneup. The expert technicians and Master Muffler Brigham City will quickly diagnose your issue. We are conveniently located to serve Brigham City, Utah, and the surrounding areas including: Logan, Tremonton, Nibley, and all of Cache Valley. Tuneups are a great time for us to look at the many different parts of your engine. Even if we don't end up replacing anything, we'll check certain parts and give you an idea of when you will need to replace those parts. For example, the dry climate of Utah is especially harsh on the belt systems in your engine. We always check your belts to make sure that you're not in danger of losing any of these vital components before your next scheduled visit. 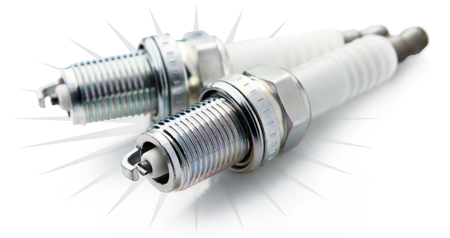 Tuneups typically begin with replacing the spark plugs. This is often the only service that is included in the introductory price of a tuneup. While it sounds simple enough, changing the spark plugs on a vehicle can have a significant affect on many of the other systems of your vehicle. After replacing the spark plugs, we'll check the various systems of you engine to make sure everything is working together correctly. If anything needs to be adjusted or replaced, we'll let you know right away.